Who: Pittsburg's leading contemporary art center. What to expect: News from one of America's coolest art centers. 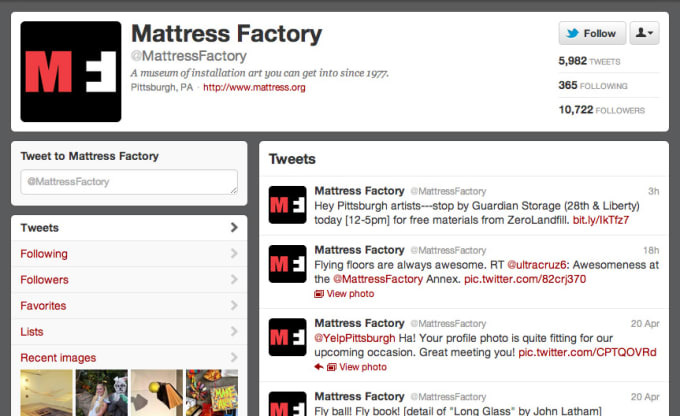 The Mattress Factory also keeps followers up-to-date with events at the museum and beyond. Added bonus - the feed is funny and has real personality, which is pretty rare for an institutional account.